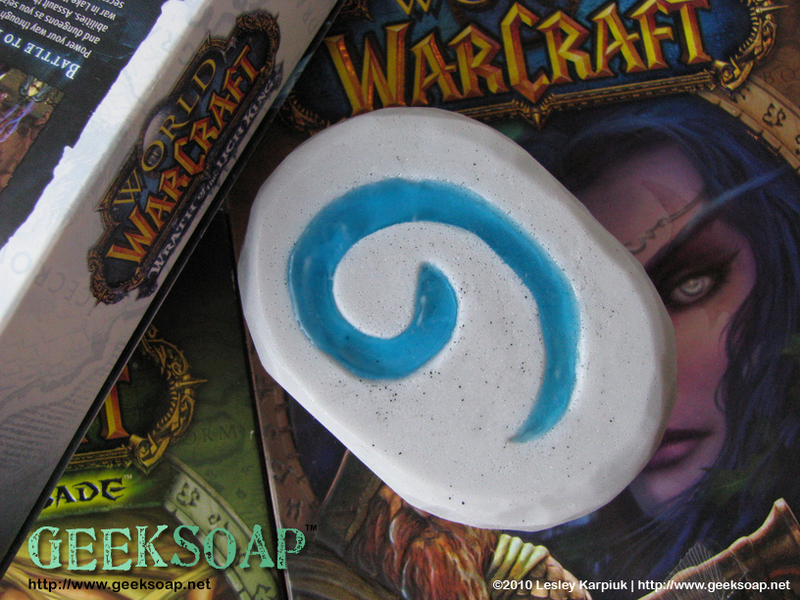 There’s no place like home… and now you can bubble and hearth your way out of dirty, sticky situations with my latest GEEKSOAP creation: the Soapstone! This fantastic handcarved soap is lovingly handmade one-at-a-time from all natural ingredients enriched with aloe and vitamin E. No two Soapstones are ever exactly alike, though all are intentionally designed to look realistically like roughly carved stone. Each Soapstone bar emits a fresh & tropical coconut lime verbena fragrance that’ll bring the lush, clear water beaches of Stranglethorn Vale right to your shower, without the hassle of pesky jungle trolls of course. 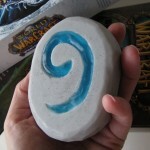 Soapstones weigh approximately 5oz; they’re wrapped to seal in freshness and allow you to keep them on display until you’re ready to use them. 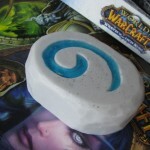 And as always, GEEKSOAP is vegan friendly! 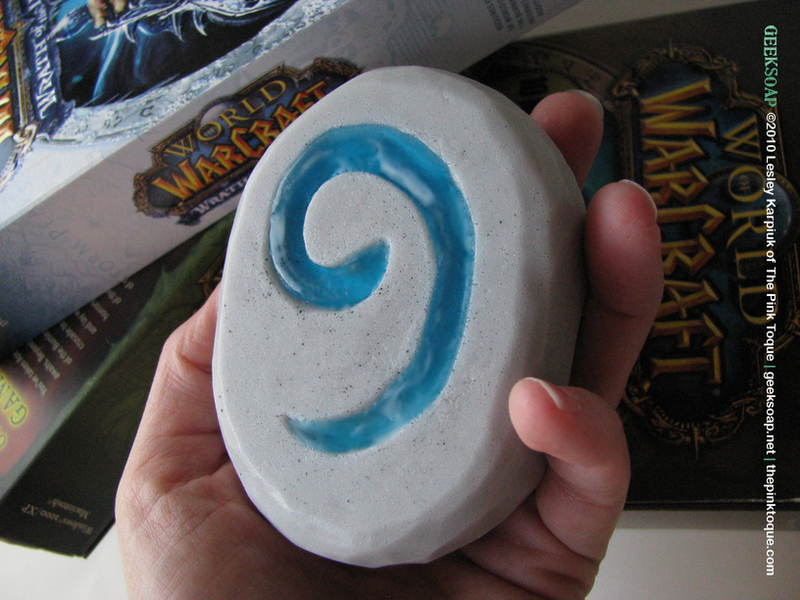 Disclaimer: Not responsible for your impending addiction to showering instead of raiding. (Sorry, guildies.) 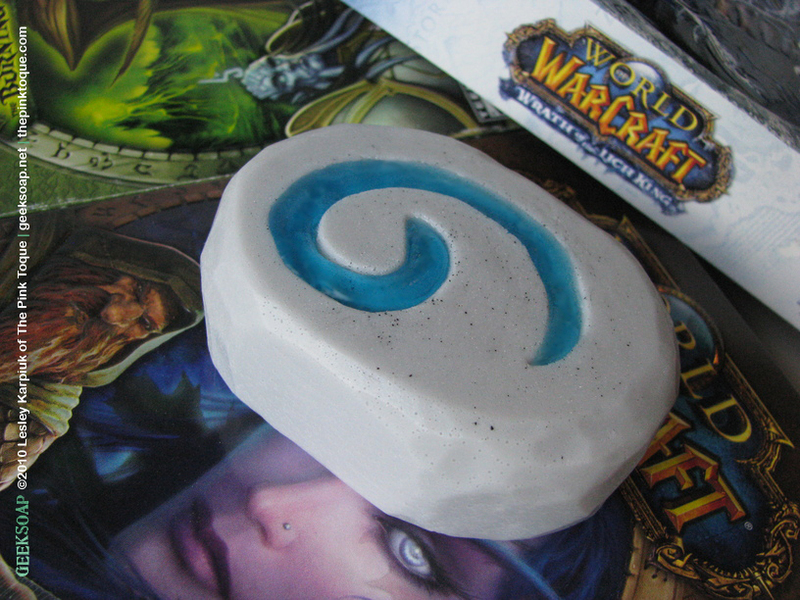 Once you smell the intoxicating awesome of using my Soapstone soap, you won’t be able to put it down, either. 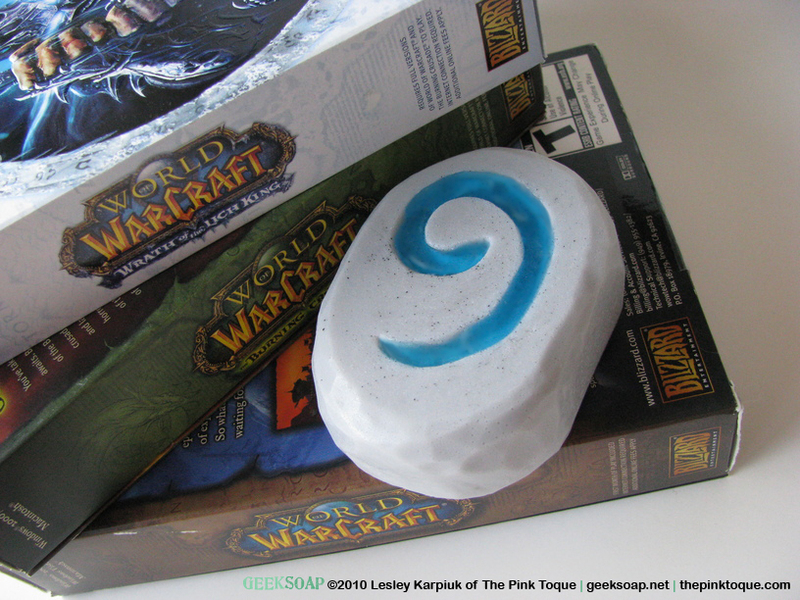 Unlike the rest of the GEEKSOAP line, the concept of this soap design is not new. Special thanks to ManaPrincess/Ladykildare and Amethyst Soap for their inspiration & support as I set about to handcarve my own interpretation of what I thought a hunk of magical stone would look and smell like in their absence. This means I’m not competing with their sales nor trying to claim credit for their fantastic idea. :) Margaret of Amethyst Soap has been a dream to work with on creating my own unique version, and you should check out her amazing goodies onÂ Etsy. 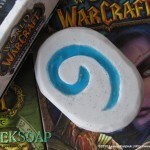 GEEKSOAP is geek soap for the internet. 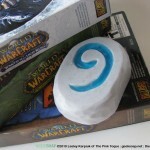 Soap for geeks; just pure geeky soap!